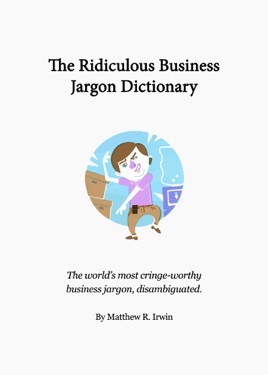 The Ridiculous Business Jargon Dictionary was started in 2005 as a place to collect and document these outrageous expressions, which have become so common in the working world. Since launching, the dictionary has grown to become the largest collection of business jargon online. The corporate world is inventing terrible new jargon faster than we can document it, but your support will help us continue this important work.